Are you looking for the best flashlight? 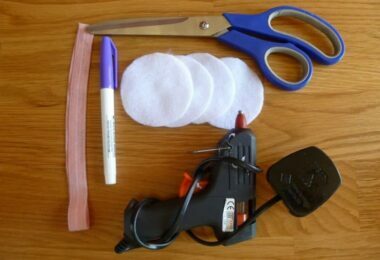 As a survivalist, you should never forget having one in your backpack, car, home or emergency kit. 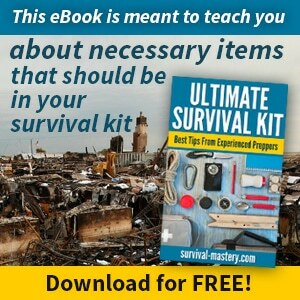 And most importantly, it should not be left out in the list of survival items you need. 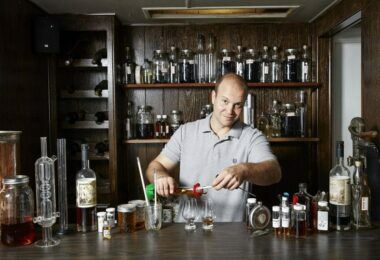 Aside from the fact that a flashlight is helpful during a power outage, it has many uses. First of all, it provides you with a portable light you can carry anywhere you go (e.g. camping, trekking, fishing, hunting and so on). Even if you may already have a built in mobile flashlight on your phone, it may not be enough for the job of providing you sufficient lighting especially if your phone runs out of battery. A flashlight, which can now also come with rechargeable batteries, is what you need for the job instead. Check out our reviews of the best flashlight to give you more options. A dedicated tool like a flashlight is more specific and focused with great features than what a mobile flashlight can offer. It also means that a flashlight meant for a specific job comes with more power and with durable construction, as compared to a phone that is used for many purposes, making it inappropriate for a particular task of providing you with adequate lighting when you need it. A good flashlight also comes with longer light runtime, which can be measured in days. Without even saying, this tool works better and serves its purpose, especially during emergencies when darkness can be one of the main challenges you may have to deal with. 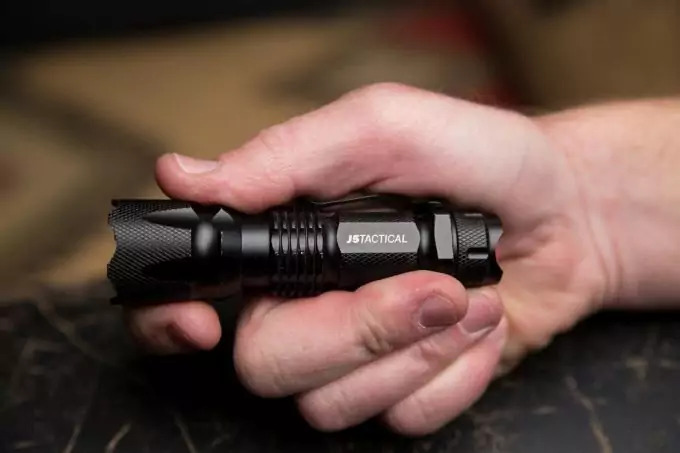 So to guide you in choosing an excellent flashlight, you can refer to the following list and later learn of a couple of tips to use for choosing one. This product is skid-proof and waterproof, making it dependable in most cases and one of the most durable models on the market to buy today. This is an extra small flashlight you can carry anywhere and slip into your pocket or bag. 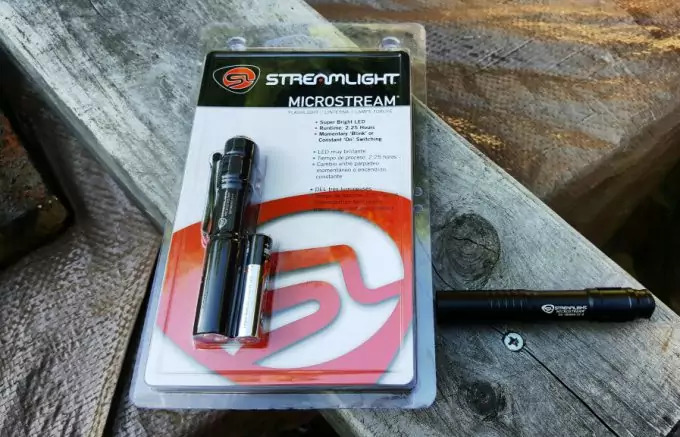 It can offer up to 300 lumens, has an adjustable focus range and comes with a clip for easy carry. It is made with aluminum for its convex lens material. This is one of the top-rated products on Amazon, garnering 4.5 out of 5 stars coming from 2166 reviews as of the time of writing. It works for both residential and commercial customers with its durable construction and reliable function. 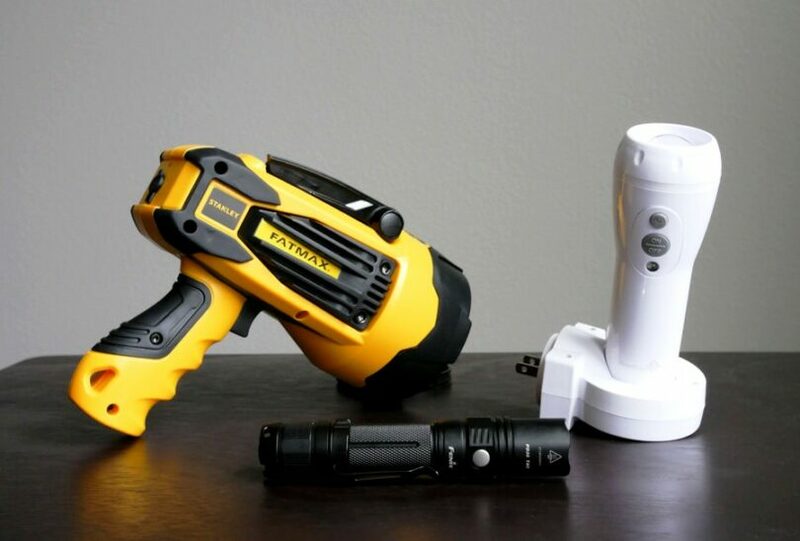 It comes with a yellow finish, unique floatability and waterproof design and has four extra bright LED bulbs for giving you with 55-lumens of light output. This product also comes with a built-in cap carabineer clip, letting you attach it conveniently to your backpack or belt. 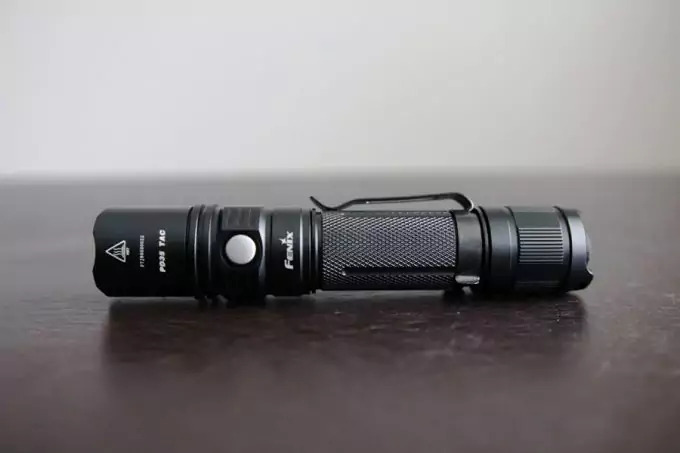 Many users rate this product high because of its durable construction and powerful features; in fact, many of them said that this flashlight is very useful for most purposes, mentioning how they love the product’s waterproof design that suits various purposes, such as camping, fishing and hunting. Coming with a rating of 4.6 out of possible five stars from 1,262 reviews, this lighting tool is one of the top raters that people consider very useful for them in many purposes, both commercial and residential. This product, according to users, is super bright up to 1401m, providing them more than sufficient light when they need to. Aside from these, this lighting tool is also shock resistant, making it more durable and longer lasting. Whether you are a military or a civilian, this product may be what is for you for its great functions. In fact, it has garnered a rating of four out of possible five stars from about 263 reviews. This gives optimum brightness up to 300 lumens, producing extra bright light and comes with an intelligent strobe mode cycling from high to low and vice versa. According to many users, this product is the best they ever had, especially for outdoor adventurers, such as hunters, campers and climbers. They appreciate it for providing them with superior lighting when they need it. 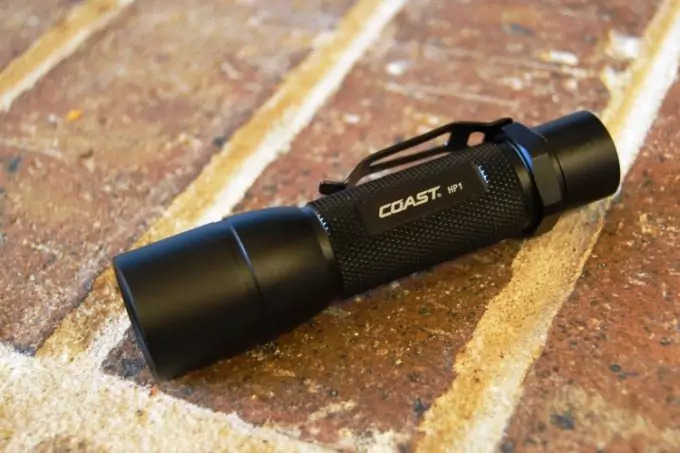 Another top rater product online, the Coast HP1 is a dependable flashlight that most users appreciate for its max brightness of 220-lumen light, with a range of up to 171 meters of beam distance. This product requires a Li-Ion battery that can last up to one hour and fifteen minutes, but such batteries are not included upon purchase. It also comes with a patented focusing system for providing users with a superior beam quality. One best thing that makes this product reliable is that it can also last longer than other products currently on the market because it is both water- and impact-resistant and has an aluminum casing for resisting corrosion. It is a professional series that is used by tactical people with its powerful function and great features, including its BrightStart Technology. The product comes with CREE XM-L T6 LED Bulb, which can offer up to 1300 lumens of output, one of its best features that make it a top selling product. Users noted that they particularly love the five operating modes that come with this product, offering options, including SOS, strobe, low, medium and full. It also comes with a self-defense feature, such as the disorienting strobe mode and comes with smooth aluminum alloy finishing, two lithium batteries, charger and waterproof casing, making it suitable for all types of weather use. Most users are highlighting how this tool is perfect for outdoor activities, including fishing, mountain climbing and camping and said that they are definitely satisfied with their purchase due to the flexibility of lighting modes this product can provide them with. This product is a top rater based on user reviews. 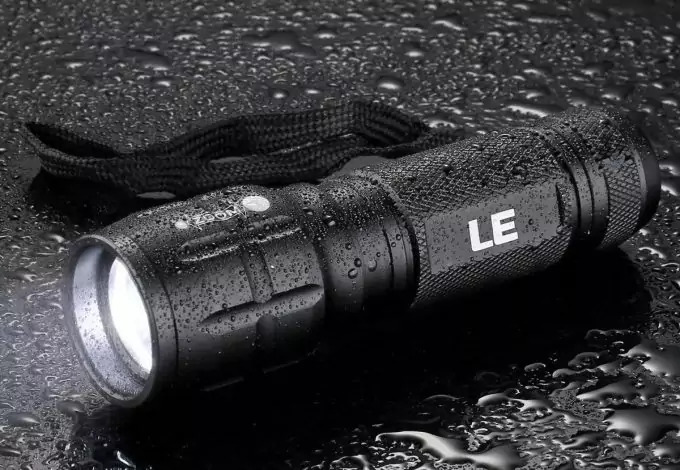 Many of them are saying that this emergency flashlight offers great help for all types of weather. They are even recommending this product for people who are living in areas with severe weather conditions. You can just put one of these products at home or in your car. In addition, you can have one of it in your emergency kit so that you can ensure you have a handy light source when a disaster strikes. It comes with white LEDs that can give bright light especially during power outages when darkness may be your biggest enemy. 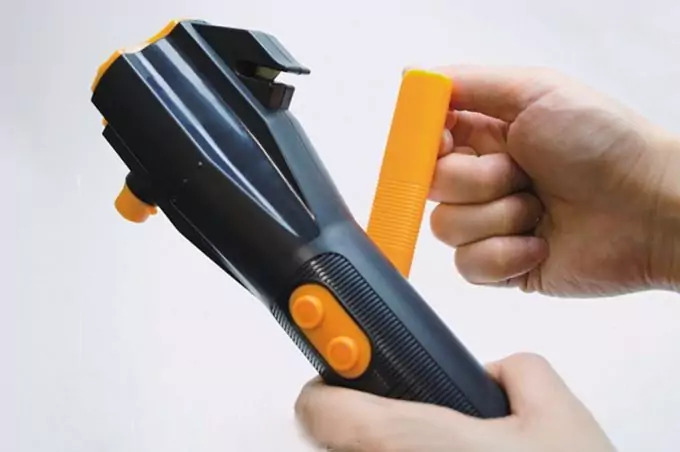 The product is versatile having the function of not only a flashlight but also as a seatbelt cutter, window breaker, phone charger, red flasher and compass. With such features, many users have posted their reviews that this product is very innovative. However, they noted that some people might find it a bit pricier than its counterparts are. 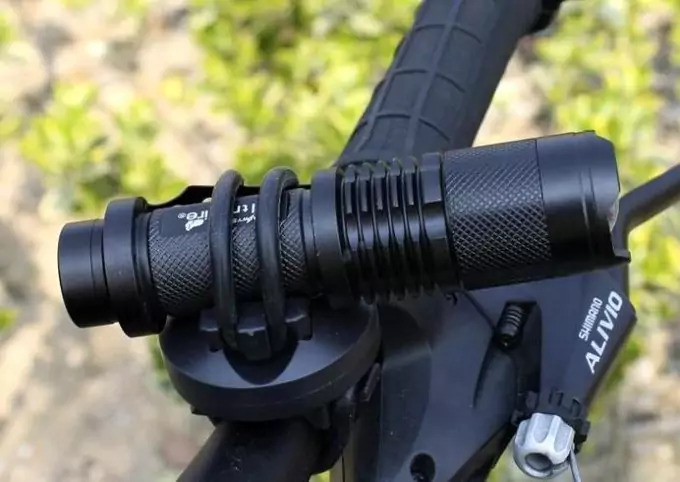 Even so, they also said that the expensive price is outweighed by the plenty of uses and benefits one can get from this innovative flashlight. According to users, they also appreciate that this product does not depend on batteries, but it can charge mobile phones with its integrated USB port and built in lithium batteries that supply them with constant light on demand. And finally, many of them said that they gave this product as a gift to their loved ones, as they also wanted to give these people something to use for preparedness. This product can give up to 600 lumens of brightness and has a reliable LED bulb lamp, with five modes of focus included. It also features an adjustable torch you can use for camping, hiking or traveling. You can always rely on it for indoor or outdoor use. 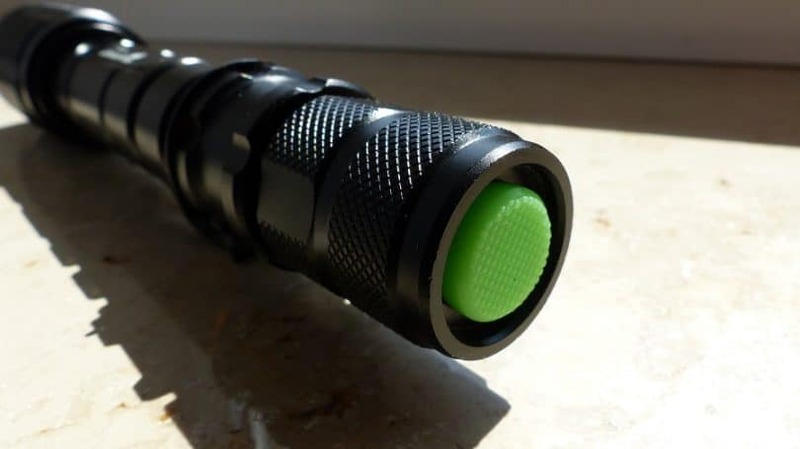 Some pros users highlighted included the product’s durable construction, making it longer lasting than other flashlight they already have; however, some users suggested that the product be included with the batteries. Its color is black and can stand up on a flat surface like a candle and supports either zoom in and out options with its adjustable focus. 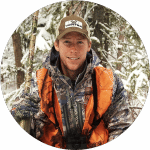 Many users noted that they love how this product is suitable for outdoor activities their families love, including hiking and hunting. As one of the best-selling products online, this flashlight garners mostly positive reviews from users. And one of them was saying that this product was a bright one, and her favorite feature was its varying focus. She said that it felt sturdy with its weight and waterproof feature (but it should not be submerged in water). The product includes a rechargeable battery, provides up to 2000 lumen of light and has a reverse polarity protection, protecting its LED light from burning out if you installed the batteries backwards. You can also appreciate this product for its adjustable focus range for your varying usage purposes; in fact, it can switch to five modes (SOS, strobe, low, medium and high). You can also depend on its durable and water resistant design and features. According to many users, this product is dependable for most types of their outdoor activities, such as cycling and climbing. This is a handheld flashlight LED that is a resistant camping torch and is water resistant, too. It is a tactical light lamp that can be used for outdoor sports, such as racing and hunting. However, one downside is that it does not come with batteries, so you will have to purchase them. Just like other Refun flashlights, this one has the reverse polarity protection, so you don’t have to worry in case you installed the batteries backward. One thing that most users appreciate of it is that it comes with an adjustable focus letting them use it for different range and adjusting its focus. It also comes with five switch modes, namely SOS, medium, strobe, low and high. And because it is water-resistant and skid proof in design, it can last longer and can work for most purposes, including climbing and camping. This is an innovative flashlight that can show hidden pet urine, odor, stain and other spots cats and dogs leave on your carpets, clothes and rugs. It can also work for authenticating currency, documents, notes and passports. It uses 12 LED lights, each lasting up to 12 years and comes with a user manual. One of the things users appreciate of this product is that it comes with dog stains detector, which according to them can help them find spots these animals leave on their furnishings. Garnering an average of 4.7 stars out of possible five star rating from 1885 reviews, the product is one of the top sellers in Amazon and other online stores. It features its compact and lightweight pen light that can be used for a variety of applications and purposes. In addition, it has a bright 50,000 high flux LED light and comes with the latest technology of C4 IED. For its long lasting use, the product also features Micro Optical System (MOS) for optimizing its run time and output, lasting up to 6.25 hours (regulated runtime), 65 lumens of output and 5.3 inches of length. Overall, this product is best for its durable construction and compact features. Bonus part is that it includes a lifetime-limited warranty. Some of its best features include its clip that offers users the convenience of attaching it to their pockets and bags and its skid proof and waterproof design that makes the product longer lasting. It comes with several options in terms of the light output, with its flashing, low and high outputs and has adjustable range of focus that suits every purpose. It has the ability of stretching its focus for adapting to your different needs. This product is also longer lasting with its water resistant feature that makes it suitable to use even during rainy days, but it should not be submerged in water. According to user reviews, this is one of the best buys they have ever made because it can suit their various needs, especially for the outdoors. They are saying that this product is suitable for use in camping, climbing, cycling and hunting, among other activities. However, some of them were suggesting that to make it even greater, manufacturer might need to consider including the battery. Its overall weight is 100 grams and length ranges from 115 and 125 mm. To sum it up, most users appreciate this product and many of them are satisfied with their purchase. 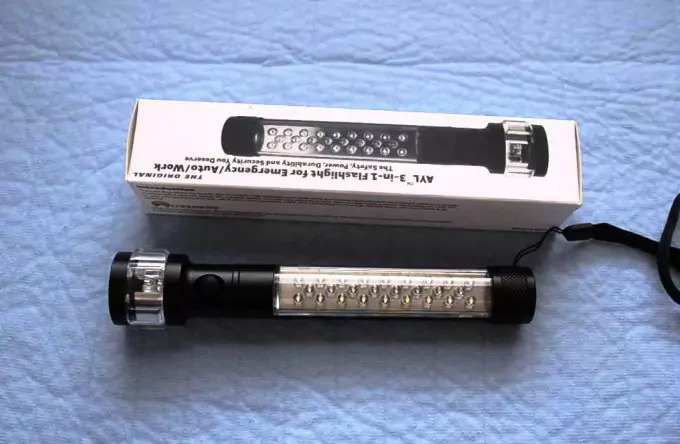 This is a LED emergency flashlight particularly useful for vehicles. It is water resistant with its aluminum industrial-grade construction and is one of the most versatile products around with great power and durability. It also boasts its rugged construction that makes it a durable product to last longer than its counterparts do. The product also has 29 LED lights, namely 11 red light and 18 white lights, and each of them can last over 100,000 hours. This car flashlight is powered by 3 pieces of AAA batteries, which are not included in the purchase. It is one of the top raters in online stores, mainly because of its durable construction and user-friendly design, with a magnetic base that lets it stand on a flat metallic surface. Users noted that this product is versatile with its three light options, including white, Cree and flashing red LED light for improving visibility. However, some of them noted that it could have been more useful had it included some lighting modes, including high and low. It offers an easy operation, with the first click that will turn the CREE LED on. This is a large flashlight that comes with 51 UV LED lights, allowing you to get coverage even in a bigger area while not losing any intensity of the UV light. It works for virtually all types of applications, rodent contamination and security control. It can also be used by businesses, including hotels for their room inspection and so many more. This product is very powerful that it comes with a wavelength of 395 nanometers for covering a large area. It can also illuminate fluids, including that of stains and works ideal for hunting minerals and scorpions. If you are looking to detect leaks, you can also make use of this flashlight, especially if you would use it with UV dye. One thing that users also appreciate of it aside from the mentioned features is that it is both shock and water-resistant. Most users also appreciate not only its compact and versatile features, but they also love its rugged aluminum construction. But because of the intensity of the UV LED device, users are advised to protect their eyes with glasses and not to look into it when operating. They should not also shine it into their eyes. Some of its additional powerful features include 100,000 hours of bulb life and long-lasting make. It has with a battery requirement of three pieces of AA batteries, which are not included in the purchase. For its battery life, it can last up to 20 hours with three pieces of AA batteries. For its specifications, it has a push button for on and off, length of 5.80 inches, weight of 10 ounces, body diameter of 1.42 inches and head diameter of 2.25 inches. Right now, LED flashlights are ideal than the conventional Xenon light bulbs, so most of the models coming out, including those we have mentioned in this guide are all LED models. One of the main reasons to select LED types is that they save power, using the batteries more efficiently, while not compromising on the quality of lighting they give out. They also work even at greater distances, so they can usually keep the same intensity to lighting the area of their coverage based on the model or brand you have chosen. More so, these lights can emit a clean beam without losing its quality of lighting provided. They also never burn out even when used frequently. They also keep on getting better every year and many of these lights last for many years. Without putting much emphasis, it may also give you a better investment if you would buy a flashlight with LED bulbs as compared with other options. Then, you can also consider choosing between hands-free or handheld types. Remember, cap lights and headlamps allow using your both hand for performing other tasks, including fixing a truck, dressing a deer or finding a path in the woods. You can also depend on these headlamps because they may be as powerful as modern handheld models. Nevertheless, you can select either a handheld or a headlamp based on your specific purpose or depending on which you think is more appropriate depending on the task you usually do. For the models we have mentioned here, many of them also come with clips, which make them easier for use, as they can be easily attached to another object, while some of them can stand up like a candle on a flat steady surface. You may also select based on efficiency, and LED lights again work well for that matter. You can check out any of some LED flashlights we have featured here and you will notice that their bulbs can last for up to or even more than 12 years and some can work up to 100,000 hours. Also, check on its waterproof or weatherproof feature, especially if you are living in a place with severe weather conditions. 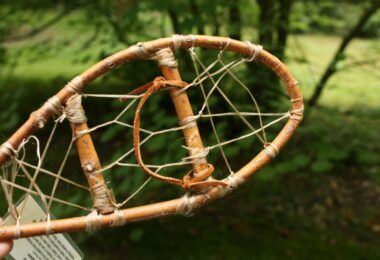 Especially if you love the outdoors, it may be appropriate to select one that can withstand any weather, including rain. Therefore, you may also want to pick a model that can work even when it gets wet. However, no matter they are waterproof; many of them will not work when submerged into water, so never do that whatever flashlight you buy. 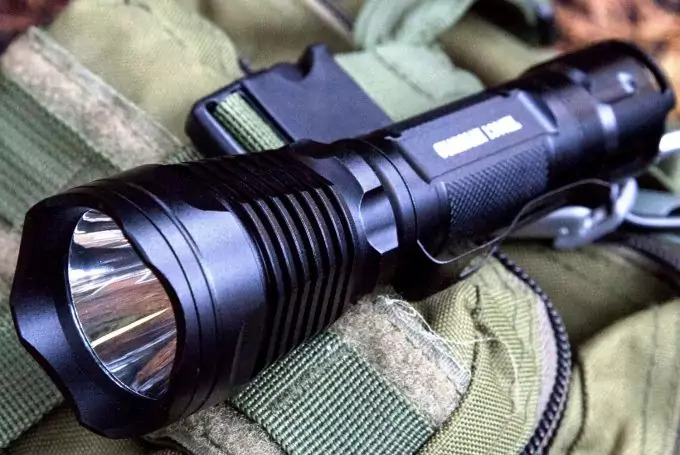 There you have our guide on the best flashlights on the market right now as well as a few tips on how to select the one for you. So the bottom line here is that you select the type based on your purpose of use, as some may be better to work outdoors than others can. Nevertheless, take some time researching and studying your options to come up with the right decision. Finally, feel free bookmarking this page for quick reference and sharing it to your social circles that are also looking to buy a flashlight. For more options, see our piece on how to choose the best tactical flashlight to help you.